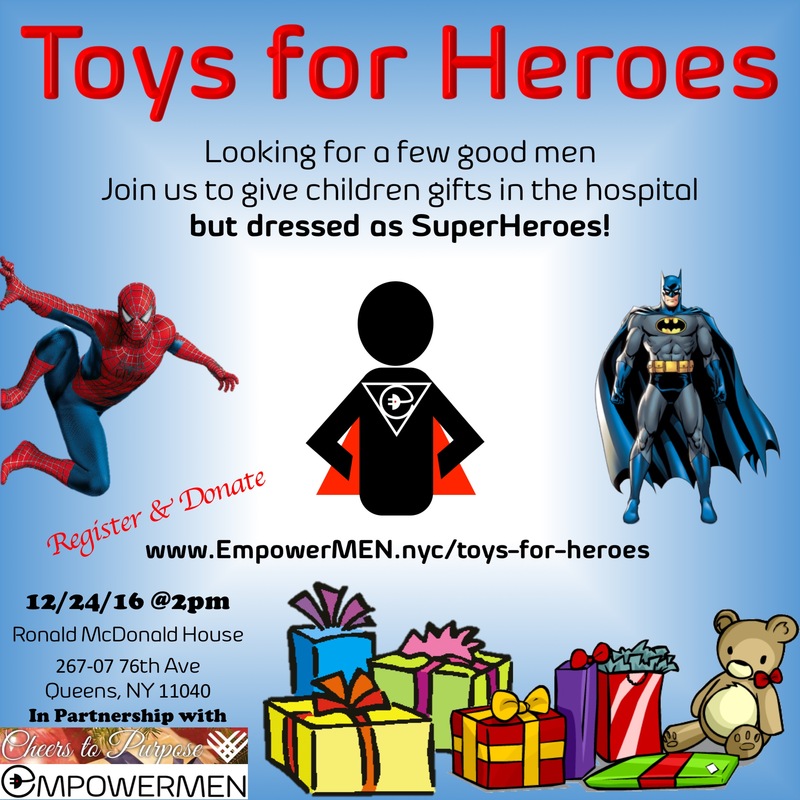 Men dressed as super heroes, giving gifts to children in hospitals and shelters. We believe the children who are fighting through tough circumstances are the TRUE HEROES. Lets show them love and make sure they are not forgotten.